Allegation: In law, an allegation is a claim of a fact by a party in a pleading, charge, or defense. Until they can be proved, allegations remain merely assertions.There are also marital allegations: marriage bonds and allegations exist for couples who applied to marry by licence. 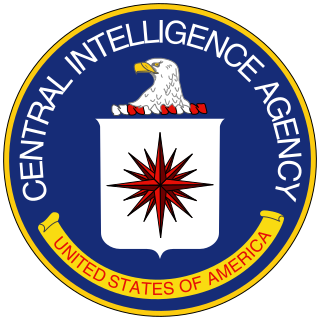 Allegations of CIA drug trafficking: The United States Central Intelligence Agency has been accused of involvement in drug trafficking. Books and investigations on the subject that have received general notice include works by historian Alfred McCoy; professor and diplomat Peter Dale Scott; and journalists Gary Webb, Michael C. Ruppert and Alexander Cockburn, as well as by writer Larry Collins. Allegations of CIA assistance to Osama bin Laden: A commonly expressed belief states that the Central Intelligence Agency had ties with Osama Bin Laden's al-Qaeda and its "Afghan Arab" fighters when it armed Mujahideen groups to fight the Soviet Union during the Soviet–Afghan War. About the same time as the "Soviet deployment" into Afghanistan, the United States began giving several hundred million dollars a year in aid to the Afghan Mujahideen insurgents fighting the Afghan Marxist government and the Soviet Army in Operation Cyclone. Allegations of war crimes in the 2006 Lebanon War: Allegations of war crimes in the 2006 Lebanon War refer to claims of various groups and individuals, including Amnesty International, Human Rights Watch, and United Nations officials, who accused both Hezbollah and Israel of violating international humanitarian law during the 2006 Lebanon War, and warned of possible war crimes. These allegations included intentional attacks on civilian populations or infrastructure, disproportionate or indiscriminate attacks, the use of human shields, and the use of prohibited weapons. Allegations of misappropriations related to the Iraq War: Iraq War misappropriation refers to allegations that billions of dollars of US government funds, originally meant for reconstruction and rebuilding programs, were misappropriated during the Iraq War.